The time has come for us to rewrite our history collectively as a people. 2019 General Elections are coming closer and considering the exigencies of time we are presenting a suitable candidate with the capacity, ability and capability to take our dear senatorial district to greater heights. This is none other than the revivalist Demokun Joseph, This is a young man of proven character, a unionist per excellence,a philanthropist, an activist of high repute and the definition of political loyalty. Demokun Joseph has touched lives while serving at various levels, his philanthropy knows no boundary. 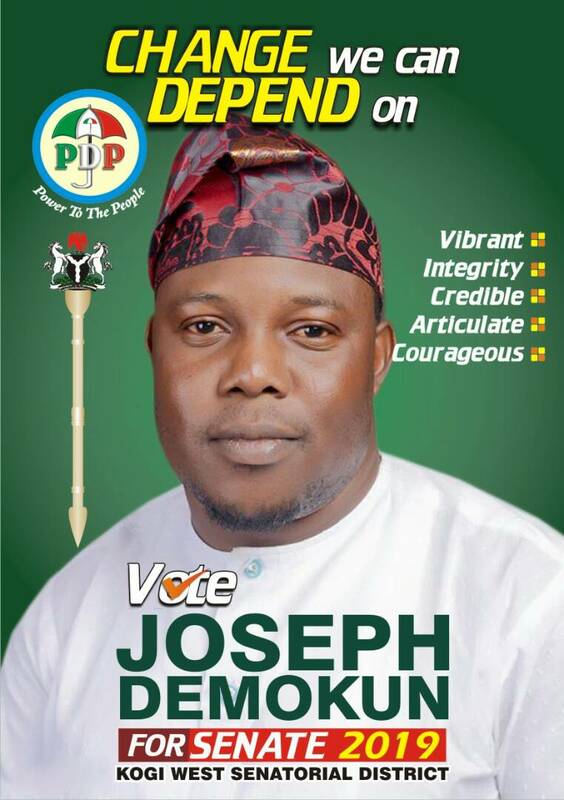 Indeed Demokun Joseph coming into the race is an evident that God has answered our prayer in Kogi West. Demokun Joseph possesses the leadership potentials required to liberate our people from penury into a position of prosperity, hence the need to support his aspiration wholeheartedly. It is on this note that we are calling on the general public, irrespective of political diversity to rally around Comrade Demokun Joseph for Kogi West Senator come 2019 for our general good.